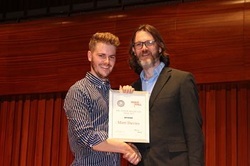 Tom Latchford (award sponsor) and Peter Doherty (award manager), both of Raising IT, announced: “Some impressive entries were received and, from our shortlist of four, the judge, Marcelle Speller OBE, chose Katie Buckingham and her social enterprise ‘Altruist Enterprises’ https://altruistuk.com/ as the winning entry. Marcelle picked Katie as the overall winner because her fantastic social enterprise had a clear revenue model and she had undertaken research and training programmes in the field it addressed”. Katie: “I was so pleased when I heard that I had been awarded Young Social Entrepreneur of the Year 2018. At Altruist Enterprises, we are passionate about raising awareness of mental health and increasing understanding, knowledge and confidence around the issue within workplaces and schools. This award will enable us to further develop our training programmes to ensure that one day, mental health is treated in the same way as physical health”. 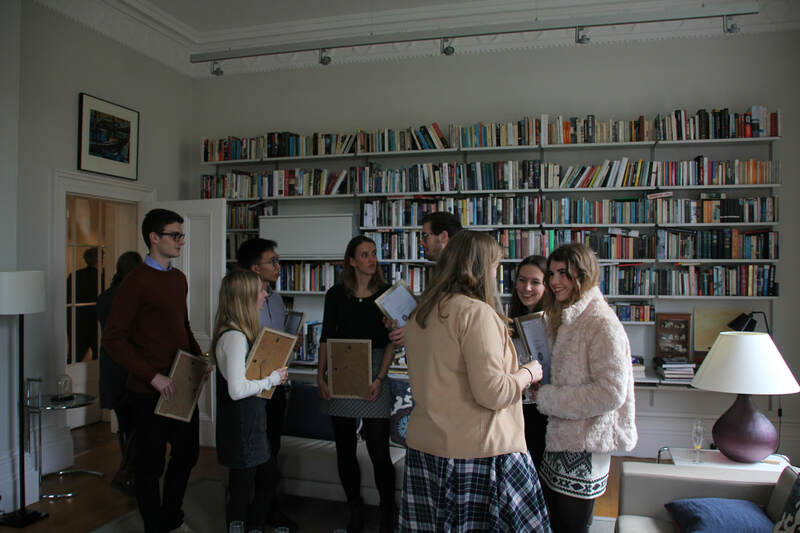 Mark Damazer : The Maldé Awards are prestigious, generous and provide a moment where some of the most gifted students of their generation can reflect on what they have already done - and how they might sustain their presence at St Peter's and Oxford. 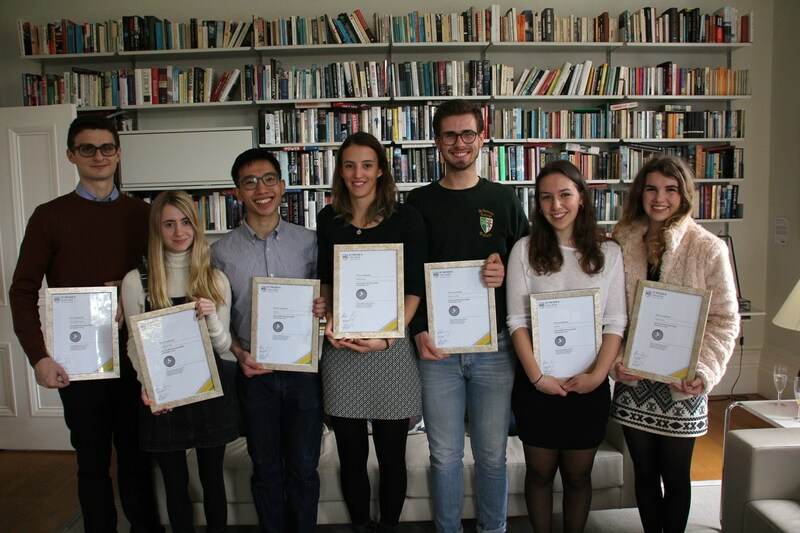 This year's award winners are a reflection of modern Oxford – with students from different sorts of backgrounds, from different parts of the UK, two from outside the UK, spread across the range of courses: hard sciences, the social sciences and humanities. They are academically hugely able and like many of the best students here are able to make time to contribute in many other ways. 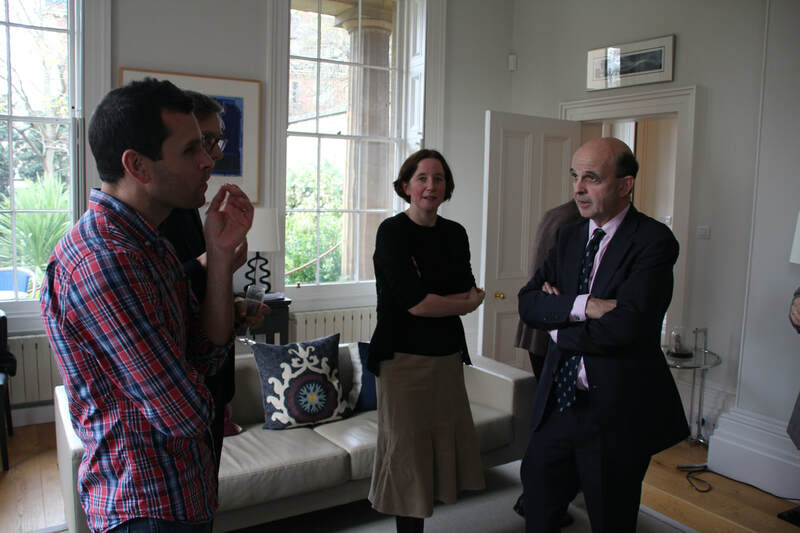 We expect they will make a great contribution to the wider world once they leave Oxford. Young Enterprise Scotland: “Sophie Westwood from West College Scotland was judged the worthy winner in recognition of the commitment and application she had shown in her leadership role running and managing the youth company Minds of Young Artists. She would be a great role model for many young people living across the UK looking to develop their potential through immersion in enterprise and to flourish in the process as Sophie herself clearly has”. 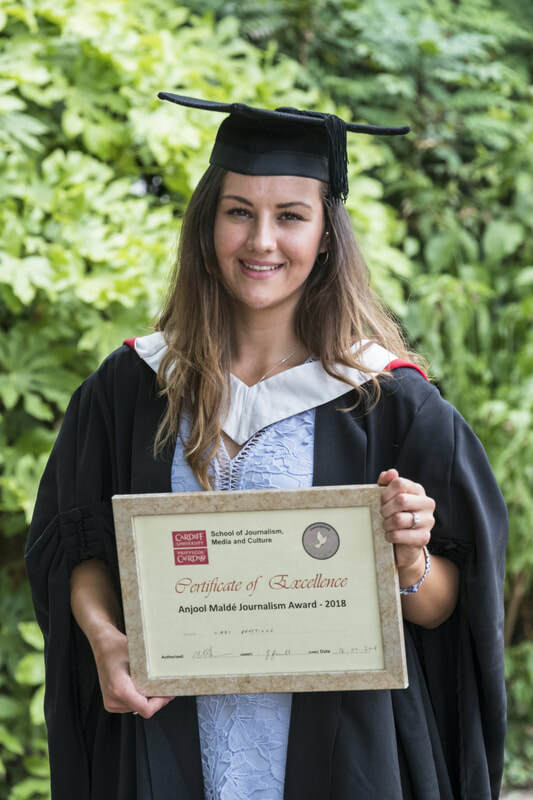 Sophie: Winning this award has been extremely beneficial - not only have I got recognition for my hard work but the prize money will also help me in various ways to advance in my career – thank you so much". 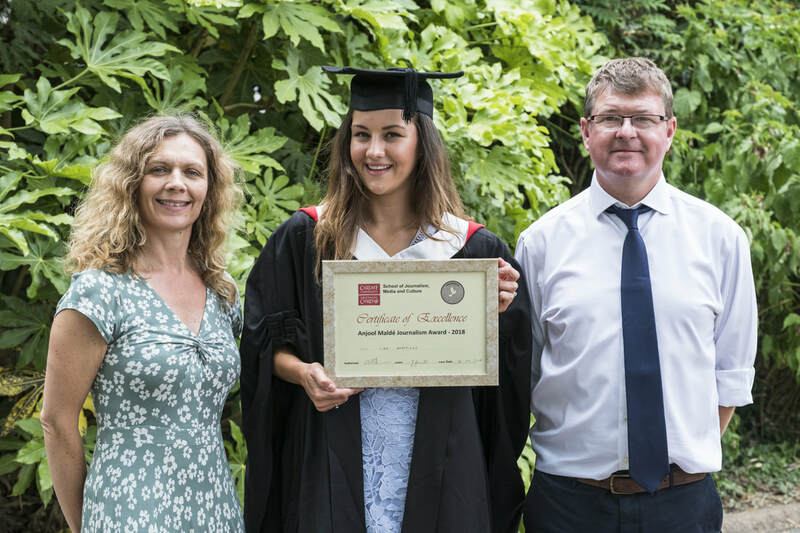 “Cardiff University School of Journalism, Media and Culture is delighted to recognise Elizabeth (Libbi) Prestidge as its highest achieving single honours graduate for 2018. Her work revealed a maturity and capacity for critical thinking that has been consistently excellent. Not only has she been a pleasure to teach, she has also revealed herself to be collegiate and an upstanding member of the student community”. Libbi: "To be receiving the Anjool Maldé Journalism Award fills me with happiness and thanks. As I take my first steps into the world of work as Programme Coordinator for the youth development organisation UpRising in Cardiff, I intend to put the award money to good use: most of it into savings to help me set up in my new role - and perhaps just a little bit spent on celebrating my graduation in a few weeks' time! I am so grateful, thank you so much". 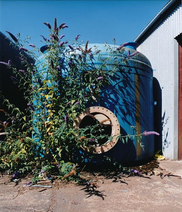 College on John McCabe (Fine Art Winner): “John is a talented student - during his time on the BA programme he has both matured and developed a particular style of documentary photography. 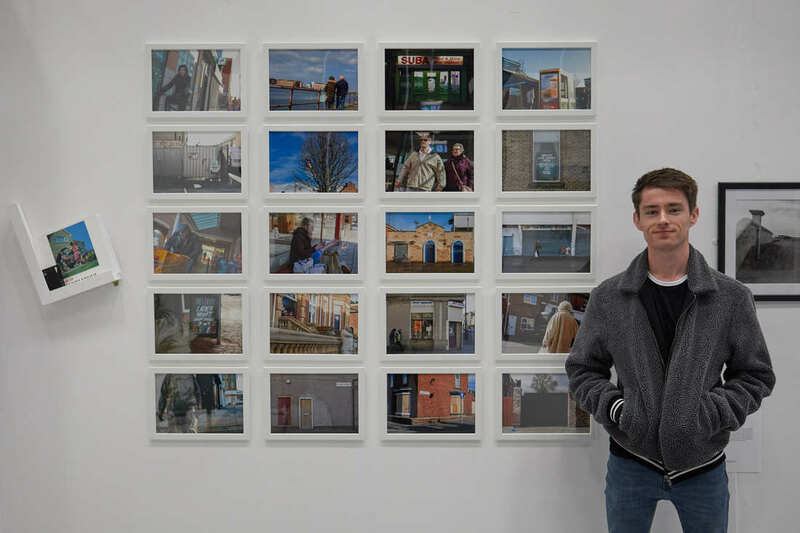 This has been underpinned by his fascination with the genre of street and documentary photography.” John: “Winning this award came as a great surprise, but it is quite an honour to be recognised in this way. The prize is extremely welcome as it will help me to buy some much needed equipment to help me on my way. Photography can be an expense business in which to become established”. 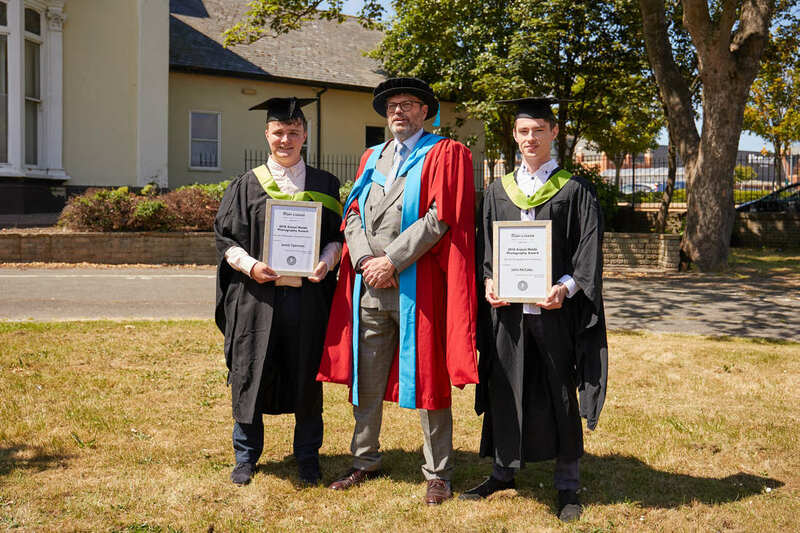 College on Jamie Tyerman (Commercial Art Winner): “Jamie is a talented hard working student whose passion and energy in the pursuit of his subject – photography – has led in him into a range of different areas and vocations. He has demonstrated and maintained outstanding studentship and his positive committed approach makes him a deserving winner”. Jamie: ‘I am immensely proud and honoured to receive this award. I intend to continue to maintain and develop my practice, especially in sports and fashion photography. This prize money will certainly help me with the expenses I need to invest to develop a freelance business”. College on Rory Henderson the winner of The Dean Brodrick Award for Graphic Design: “Rory Henderson has demonstrated excellent all round talents in typography, digital design and motion graphics. He is also an accomplished writer, and very much an intellectual thinker, who will undoubtedly go onto achieve great things”. Rory: “After my Degree I aim to take on an internship at Grace Church Hartlepool, whilst working on my freelance business. In the near future, I will be able to continue my studies to Masters Degree level, which will research typography and the Bible. 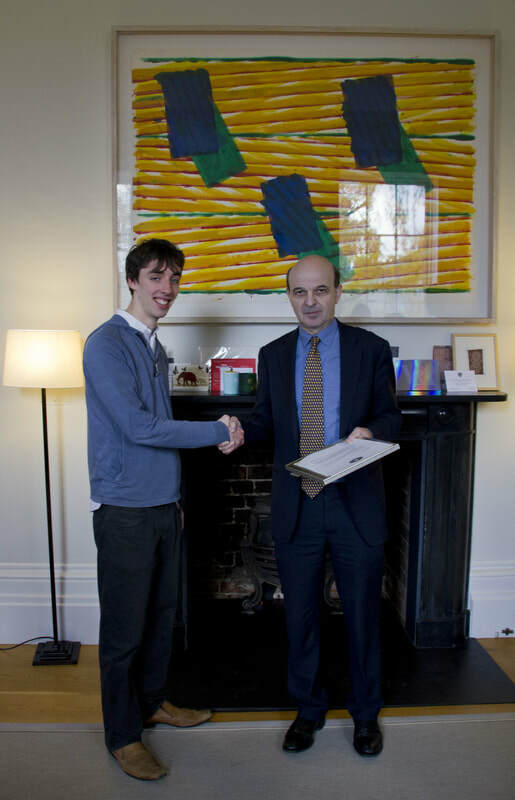 Therefore, this prize money is welcome contribution to funding the next phase of my education”. The Trust was delighted to be able to present Rory with prize money in recognition of his achievement. College Master Mark Damazer CBE: "The five students selected this year represent a range of academic subjects and have been heavily involved in one or more extracurricular fields - drama, music, sport, outreach or charity work. St Peter’s benefits greatly from these students’ talent, energy and enthusiasm. " Andy Firr- UK Start Up Manager, Young Enterprise: "Harry led a team to produce and launch their first product the Stud Master, an innovative solution to the frustrating task of altering boot studs. Harry demonstrated professionalism, genuine desire, and perhaps most importantly, realism and entrepreneurial flair and was a truly deserving winner against stiff national competition". Harry: "What an honour it is for me to be the chosen winner of the Enterprise & Innovation award. 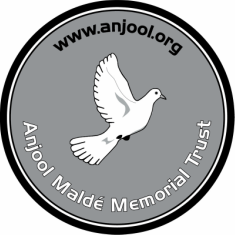 After reading of the story behind the Anjool Maldé Memorial Trust, Winning the award gives me a huge sense of pride and achievement which has only further motivated me to continue my entrepreneurial endeavours". College Citation from Dr Nicola Furrie Murphy: Yanita excelled in her journalism studies across all aspects of media production, styles and subject matter. For her dissertation, she sought to investigate and account for Scotland’s safest seat. This research project arose from the acute observation of a genuinely compelling paradox of the electoral dominance of the Lib Dems in Orkney against a background of major political shifts across time and geographical territory elsewhere in the UK. In Investigative Journalism, she produced a radio documentary on the religious cult, popularly known as The Moonies.. Tutors and our external examiner rated her outputs as first class demonstrating sterling professionalism of the highest order". Multi-lingual Yanita was snapped up by the BBC World Service even before she had formully graduated. Yanita: "This award is as humbling as it is unexpected. Journalism is the reason I get up every morning, so this award is an incredible honour. The need for independent, sharp reporting has never been greater and I feel proud to be part of this industry." Samples of her work: Mental Health film documentary here. Radio documentary on a religious cult here. "Emma produced consistently high standard imagery Her dedication and drive to succeed are admirable and the judges fully expect that she will achieve the highest success as she begins her career already establishing herself as a professional creative photographer". "Danny is a very talented conceptual photographer with an incredible passion for the subjects that he surveys, researching and producing some very innovative work that has always caused wide debate and interest with academic staff and his peers. Theres is a stark and strident beauty to his eloquently and sophisticatedly presented work". Emma: "It was fantastic to win the award and I felt very proud to collect it in front of my partner and daughter. To have my work recognised in this way is heartening. 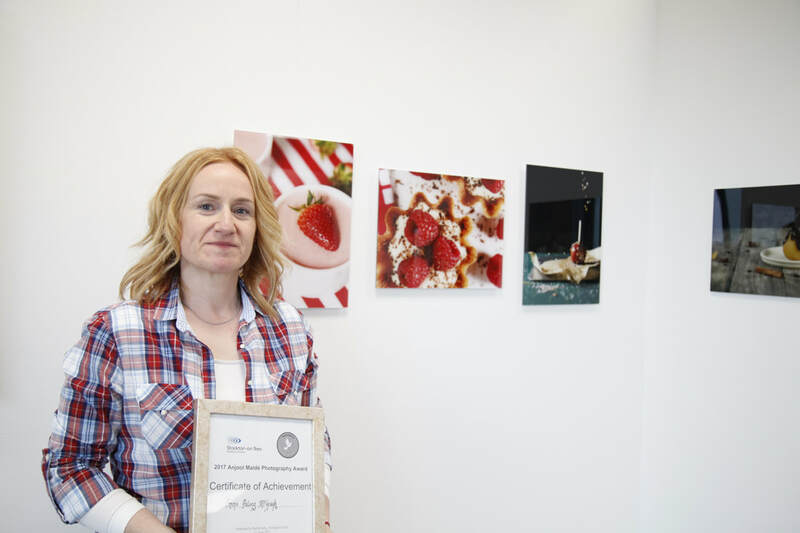 The award will enable me to continue to build my portfolio which will help me realise my ambitions of working commercially as a food photographer". 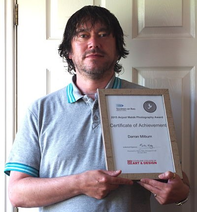 Danny: "Being chosen for this Award was indeed surprising and generous too! Considering the very personal perspective portrayed within my work I felt very flattered, and is an affirmation of the hard work put into this major project. I plan to continue developing my personal work throughout the coming years, with the intention of creating images that can be used and shared by others who struggle to express their own emotions. I have a particular interest in my work existing in the contexts of art and photography as form of 'visual therapy' as opposed to conventional talking therapies". The Trust was delighted to award an honorarium to the winner of this prize that rewards 'that little something' pointing to a hidden potential and a striking unconventional flair. Cleveland College of Art & Design picked Ben Johnson as the worthy winner. Ben: "I am so thankful for this generous and unexpected prize! Leaving university is a really nerve-racking time that is filled with a lot of uncertainty, so having someone pick you from a group and put their faith and their money into your future gives you that extra bit of confidence and drive to go out and succeed. This prize has done that for me and it will do the same for the generations of graduates to come - thank you". LOUIS SUMMERS (Loughborough College), the MD of a start-up enterprise EZ Fitness for its product launch of an easy-fit weight lifting device. 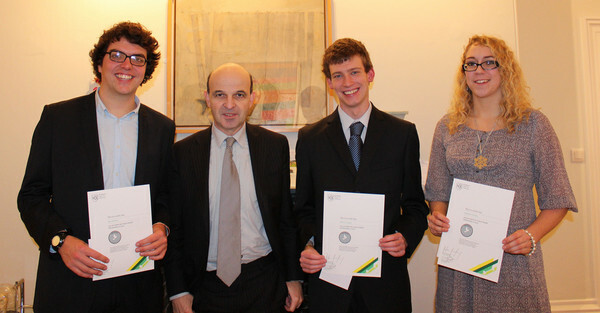 SCHOLARSHIP (co-hosts St Peter’s College, Oxford in associaton with the Anjool Maldé Endowment): ​Alice Skinner, Alice Robinson, Anna Harris, Barnaby Wynter, Isobel Cavan receiving their Award from Mark Damazer, CBE (Master of St Peter’s College, Oxford) for their outstanding achievements across scholarship & citizenship (photo courtesy SPC). 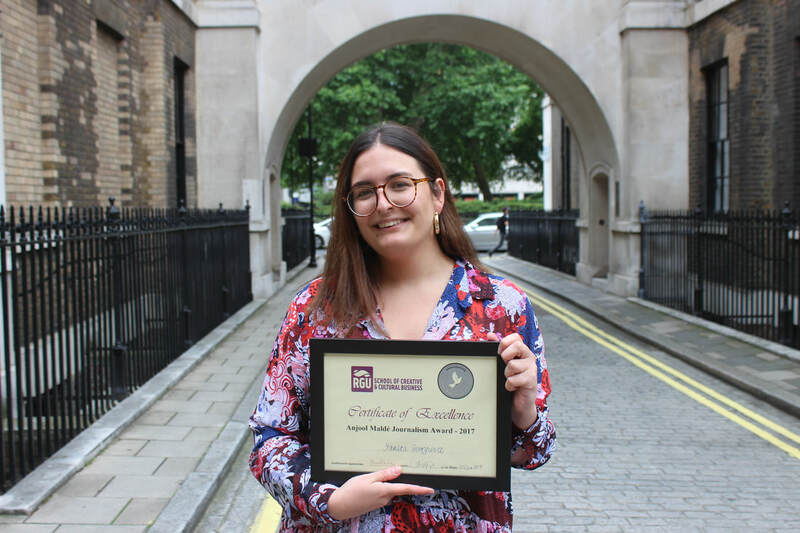 JOURNALISM AWARD (co-hosts POLIS, LSE): JOELLE EID for her outstanding contributions and achievements during her Masters Studies at Polis. PHOTOGRAPHY AWARD (co-hosts Stockton Arts – Stockton Council – and the Cleveland College of Art & Design): JODIE BLACKBURN (Commercial) - left - and RACHEL DEAKIN (Fine Art) - below. 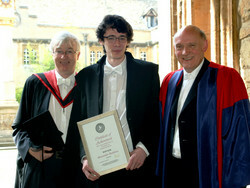 LIAM CARR (below) who was awarded prize money for winning the Dean Broderick Memorial Award for Graphic Design. 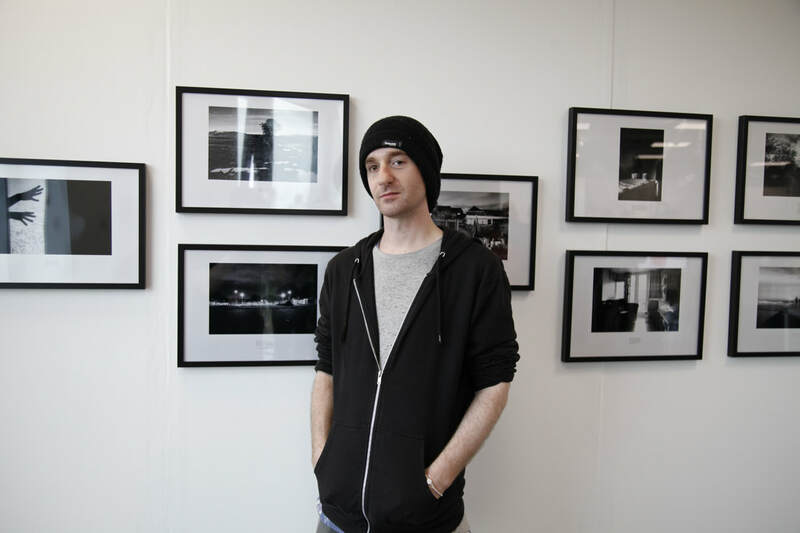 ​Darran Milburn (Fine Art Photography) above with his sample work alongside. 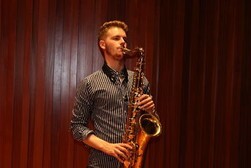 Jazz Prize (Co-hosts Guildhall School of Music & Drama). Journalism ((co-hosts Cherwell and the Oxford Student): Bethan McKernan (Cherwell), Elizabeth Porter (the Oxford Student). 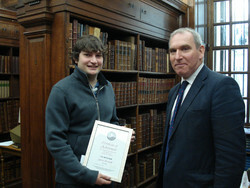 Runner-up: James Rothwell (the Oxford Student). Starting with the 3 inaugural awards at launch in 2010 (scroll down to 2010 Awards alongside) the Trust now makes 6 annual Awards to outstanding graduate age individuals among the UK's brightest best. Each Award celebrates a theme that captivated Jools' own interests and ambitions and comprises a certificate of special achievement and generous prize money. Some 90 worthy winners have benefitted with these awards thus far.